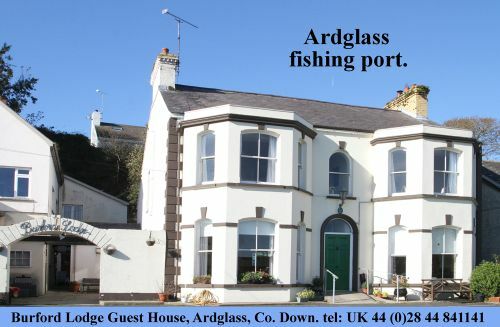 A local County Down charity which provides support for young people with autism and people with disabilities through the provision of assistance dogs has been awarded £1,000 as part of Progressive Building Society’s Community Awards Scheme. Lavinia Abrol from Ballykinlar receives a cheque for £!000 from William Burgess of the Progressive Building Society. Assistance Dogs Northern Ireland (ADNI) trains dogs to assist owners with communication, social interaction, travel and household tasks and was awarded with the donation after being nominated for financial support by a Progressive Building Society member from Ballymena. The money will be used to develop ADNI’s dog training resources. The charity received the donation from Progressive as part of the building society’s Community Awards Scheme, which supports impactful initiatives by non-profit organisations working for the benefit of communities across Northern Ireland. The Awards invite funding applications for up to £2,000, with nominations coming from Progressive members. 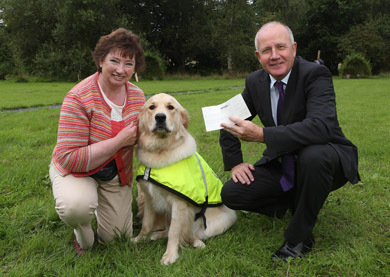 The charity was presented with a cheque during a training session for assistance dogs in Knockbracken, Belfast. Assistance Dogs NI trainer Lavinia Abrol from Ballykilner said: “The money from the Award will be put to great use in developing our training resources, enabling us to prepare the next generation of assistance dogs. The Progressive Building Society Community Awards Scheme has been raising money for local charities since 2001. Some of the charities helped by the scheme include NI Children’s Hospice, Age Concern NI, Enniskillen Riding School for the Disabled and the NI Cancer Fund for Children.